Saunders Diaphragm Valves, Size: 1/4" to 16"
SS 304/SS 316 / SS 304L/ SS 316L Diaphragm Valves are available in size: 1/2" to 4". End connections could be SMS/ Tri clover/Weldable/Socket type. Widely being used for 100% Flow control accuracy. Capitalizing on the ability of our skilled personnel, we are keenly instrumental in delivering a comprehensive array of Metal Diaphragm Valves. 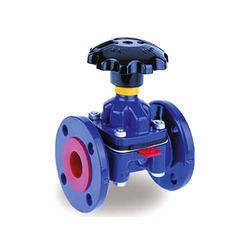 We are counted among the eminent names in the industry, offering a huge gamut of Diaphragm Valves (Manual). 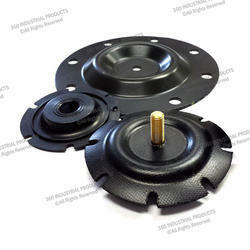 Made using SS304 and SS316L material, our range complies with the DIN and ISO standards. Due to 1"-2", DN25-50 specifications, our range is widely demanded in Beer, Milk, Beverage and Pharmaceutical industries. We manufacture a wide range of Diaphragm Valves which are known for its isolation characteristics and excellent sealing. These valves are used for controlling fluids and help in preventing the migration of the fluids out of the valves or other valve mechanisms.